The construction projects are no longer an issue. The 71 million dollar Donner Summit to Donner Lake project is "complete" The 167 million dollar Emigrant Gap project will continue through 2013. However, all lanes are open and there is no longer a traffic split with the 55 mph speed limit. 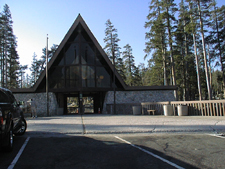 The rest areas at Donner Summit will finally be open. The prior 1966 rest areas that were torn down have been replaced with new larger and warmer facilities. The West bound rest area has just opened. The East bound rest area is set to open around the first of December. The reported cost of the two rest stops is $12.5 million dollars.